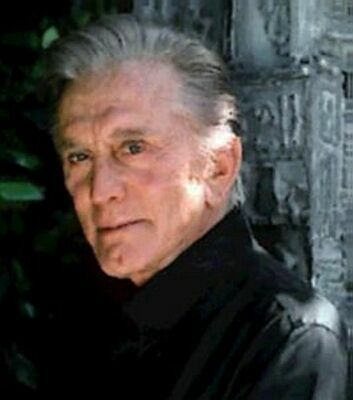 Film actor American, real name Issur Danielovitch Demsky, born in Amsterdam (New York) on December 9, 1916. He was born into a humble family of emigrants in the year 1916. He/She studied at St. Lawrence University between 1935 and 1939. After graduating in arts, he/she entered the Academy of Dramatic Arts, where he/she studied interpretation for two years. In 1943 he/she married for the first time Diana Hill, which divorced in 1951, and with whom he/she had two sons: Joel and also an actor and producer Michael. While attending acting classes, he/she began his career as an actor in works of fans in New York and Pennsylvania and as a Professor of theatre at the House Settlement in the neighborhood of Greenwich. In 1941 he/she made his debut on Broadway with the Spring Again work. Among his early works in the theatre is entitled the three sisters, which appears under the pseudonym George Spelvin Jr. During the second world war he/she enlisted in the Navy and achieved the rank of Lieutenant, and was at the end of the conflict when he/she debuted in the film to give life to the embittered husband of Barbara Stanwyck in the melodrama directed by Lewis Milestone the strange love of Martha Ivers (1946). Its second role on the big screen came in back in the past (1947), Jacques Tourneur. That same year he/she signed a five year contract with the independent producer Hal B. Wallis, but broke it just a year later. 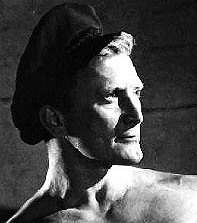 Champion (1949), of Mark Robson, was his first starring role, which unveiled their vigorous physical and characteristic dimple in his chin. He/She played a boxer whose character was perfectly adapted to the characteristics of his film personality: ambitious, wrestler and without too many scruples. With this film got his first nomination to the Oscar of the Academy. After signing an exclusive contract to Warner Brothers, he/she starred in a series of films which strengthened their position in stardom, as a Young man with a horn (1950), film biography of Bix Beiderbecke jazz trumpeter directed by Michael Curtiz and in which Douglas shared poster with Lauren Bacall and Doris Day. One of his first big characters was the big Carnival (1951) journalist Chuck Tatum, Billy Wilder, delaying the rescue of a man buried in a cave to get your great story and regain the lost prestige. In captives of evil (1952), Vincente Minnelli, added a touch of sophistication to another role in the line of his characters hard and inflexible, for which he/she won his second nomination to the Oscar; He/She played the film producer Jonathan Shields, who manipulates and almost destroys the lives of most direct collaborators, its director, writer and star, played by Lana Turner, to get the best artistic results. Minnelli became one of the key directors in his career: both returned to collaborate on the crazy hair red (1956), biography of the painter Vincent Van Gogh by which Douglas, in one of his great performances, received his third nomination for the Oscar, as well as the New York critics award. Anthony Quinn accompanied him as his friend, the painter Paul Gauguin. Two weeks in another town (1962) was the third and last of the collaborations of director and star. Set in the world of cinema, Douglas gives life in it in an extraordinary way to a player in decline, struggling desperately for one last chance. In 1954 he/she married Anne Badyens, with whom he/she had two sons, Peter and Eric. During the 1950s played under orders from some of the best directors of the moment, a series of papers that forged his legend as a player and made him one of the Favorites of the public and the critics during this period. Brigade 21 (1951), directed police film William Wyler, or river of blood (1952), where he/she worked under the command of Howard Hawks, are two titles that earned more fame to him. His strength and character made him Excel in the genres of action, such as the western, in the field of which deserve special mention his collaborations with director John Sturges. The first was duel of the Titans (1957), in which played Doc Holliday in a review of the legendary fight at the O.K. Corral; in the second, the last train from Gun Hill (1959), gave life to a sheriff who pursues the killers of his Indian wife. Also within the genre of the western, he/she starred in the Prairie without law (1955), of King Vidor, in which he/she played a cowboy who fights against the harassment of the civilization and the fence with wire of the camps. If the role that gave him Vincente Minnelli was instrumental in her career, not least it was his collaboration with Stanley Kubrick. Senderos de gloria (1957) was his first work in common. Written by the own Kubrick in collaboration with the great writer of detective novels, Jim Thompson, his virulent anitimilitarismo prevented its production until Kirk Douglas was personally interested in the project and decided to produce it through his company, Bryna Productions, lowering his salary to nine hundred thousand dollars, nearly one-third of the usual. Senderos's glory tells the story of Colonel Dax, submitted during the first world war to a mission suicide and bombarded during the withdrawal by their own artillery. Three years later he/she returned to working with Kubrick on Spartacus (1960). In this film Douglas played the slave who are rising up against the power of their masters in the imperial Rome, one of the major roles of his career. The cast was completed by Laurence Olivier and Tony Curtis . In both films of Kubrick interpreted with his usual intensity to a hero of iron will, a noble leader who suffers in the end an unjust defeat. Within the films produced by Douglas highlights another epic spectacle, the Vikings (1962), by Richard Fleischer. Shot in Europe and starring Tony Curtis, Ernest Borgnine and Janet Leigh, in addition to the own Douglas, is enfcuentra among the most violent films films of his filmography. During the 1960s, and thanks to the privileged position achieved in Hollywood, he/she worked as a greater artistic and commercial control over his films, many of them produced by himself. In this period especially highlighted seven days in May (1964) by John Frankenheimer, in which he/she played a patriotic officer of dark personality which reveals a military plot to overthrow the President. It also began around this time occasionally working in television. In the seventies, since his strong personality carried him often clashing with directors, he/she decided to risk and begin to direct his own films; He/She made his debut in this aspect with leg (1973), which was a resounding failure. Among its production as director stressed the redeemers of the West (1975), convincing and devastating western in which re-parsed a selfish and ambitious man. None of the films starring Douglas since the 1970s has had the impact of its previous films; However, the actor has managed to remain one of the interpreters of the first row of his generation. In the last years of career he/she has dedicated much of his energies to production, as well as to the writing of his autobiography, titled the son of the trapero and published in 1988. In 1981 he/she received the Medal of freedom, awarded by the President of the United States, and in 1985 the Legion of Honor of the Republic of France, in recognition of one of the greatest actors in the history's recent film American, able to interpret with equal intensity heroes or villains. In 1991 he/she survived an accident helicopter in which two people died. In 1994 a minor thrombosis which caused him serious psychomotor problems ensued him. In 1996, the Academy of Hollywood was awarded an Oscar for his film career and in 2001, the Berlin Film Festival gave the Golden bear in recognition to the whole of his career as an actor. Two years later, the Patriarch of the clan Douglas played with his son Michael It runs in the family. In January 2005 the Palm Springs Film Festival (California) gave the award for his life's work. 1946: The strange love of Martha Ivers.1947: return to the past; Mourning becomes Electra; Returning to the vida.1948: human ramparts; My dear secretary; Letter to three esposas.1949: barro.1950 Idol: Young man with a horn; The glass menagerie.1951: great Carnival; Road to the gallows; Brigade 21.1952: The law of force; River of blood; Captives of the mal.1953: three loves; Forgotten men; Act of love.1954: Ulysses; 20,000 Leagues under the sea submarino.1955: fearless men; The Prairie without law; Honor.1956 Covenant: loco rojo.1957 hair: duel of the Titans; Intrigue women; Senderos de gloria.1958: the vikingos.1959: the last train from Gun Hill; The disciple of the diablo.1960: A stranger in my life; Espartaco.1961: The last sunset; City without piedad.1962: the brave go alone; Two weeks in another ciudad.1963: silence of death; Three heirs; The last of the lista.1964: seven days of mayo.1965: first victory; Heroes of Telemark.1966: the shadow of a giant; Is Paris burning?.1967: Oregon Road; Attack on the blindado.1968 bandwagon: asesinos.1969 Union: Mafia; The compromiso.1970: the day of the tramposos.1971: the great duel; The light at the end of the world; Cruzados.1973 fingers: Pata de palo (and address); A man to respect; The third victima.1975: not enough once; Righteous West (and address). 1976: victory in Entebbe.1977: Holocaust 2000.1978: the furia.1979: Cactus Jack; Saturn 3.1980: Home movies; The end of the account atras.1981: River Nevado.1983 man: Eddie Macon.1986 flight: another city, another ley.1991: Welcome to truthful; Oscar.1995: The codiciosos.2003: It runs in the family.2004: Illusion.